Charles Henry Rushton was born on 13 January 1897 in Niagara Falls, Niagara County, New York. George Rushton and Mary Sophia Aldous appeared in the US federal census of 1 June 1900 in Niagara Falls, Niagara County, New York, at 338 Fifth Street. Other members of the household included Charles Henry Rushton, George Aldous Rushton. George Rushton and Mary Sophia Aldous appeared in the US federal census of 15 April 1910 in Niagara Falls, Niagara County, New York, at 1903 Cudabeck Avenue. Other members of the household included Charles Henry Rushton, George Aldous Rushton. He served in Company A, 174th Infantry Regiment, National Guard, with the final rank of 1st lieutenant. He married Grace Ellen Rennard, daughter of George T. Rennard and Elizabeth Ann Tann, on 5 April 1920 in Niagara Falls, New York. He was an auto mechanic, not working, according to the 1920 census. George T. Rennard and Elizabeth Ann Tann appeared in the US federal census of 1 April 1930 in Niagara Falls, Niagara County, New York, at 356 Eighth Street. Other members of the household included Charles Henry Rushton, Elsie Rennard, Grace Ellen Rennard and Keith Rennard Rushton. He was a chemist in a chemical factory, according to the 1930 census. He applied for a Social Security account number on 27 November 1936 while living at Niagara Falls, New York, and employed there by Niagara Electric Service Corporation, Canal Basin. He officially witnessed the death of George Rushton on 27 February 1948 at 642 Elmwood Avenue in Niagara Falls, Niagara County, New York. Charles Henry Rushton was living in Niagara Falls, New York, at the time of his father's death in 1948. The following appeared on 1 August 1950 in The Niagara Falls Gazette: Charles H. Rushton, 8670 Hennepin avenue, today was named Niagara County coodinator of civilian defense by John K. Silsby, chairman of the Niagara County Board of supervisors. 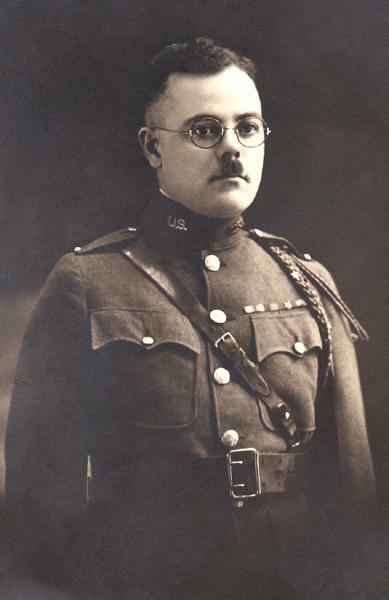 Mr. Rushton, an employe of the Niagara Falls Power company, is a veteran of World War I and 2, serving as commander of the Army Air Service Ferrying command in Washington, D. C., in the last war. In 1916 he went to the Mexican border with Company E, New York Infantry, and in the following year enlisted in the U.S. Marine Corps, serving in France in World War 1. He was wounded in action in 1918. In 1920 he received a commission in the New York National Guard and was in command of Company A, 174th Infantry, when he entered World War I. He was made a colonel before the war was over. The following appeared on 5 February 1954 in the Niagara Falls Gazette: Charles H. Rushton, 8670 Hennepin Ave., nephew of the late George Aldous, was named sole beneficiary in his uncle's will which was admitted to probate today by County Judge and Surrogate Frank J. Kronenberg at City Hall. According to the petition for probate, the estate is valued at more than $5,000 in real estate and upwards of $500 in personal property. Mr. Aldous died last Nov. 22. The following appeared on 30 April 1954 in the Niagara Falls Gazette: Several state tax appraisals have been filed at the Surrogate's Office. They include: George Aldous, Niagara Falls, died Nov. 22, 1953; gross, $11,598.12; net, $9,941,21; beneficiary, nephew, Charles H. Rushton, 8670 Hennepin Ave., Niagara Falls. Charles Henry Rushton became a widower at the 11 July 1983 death of his wife Grace Ellen Rennard. He officially witnessed the death of Grace Ellen Rennard on 11 July 1983 at DeVeaux Manor Nursing Home in Niagara Falls, Niagara County, New York. At the time of his death Charles Henry Rushton was living in Niagara Falls, Niagara County, New York, at Hennepin Avenue. Charles Henry Rushton died on 17 May 1986 at age 89 in Lewiston, Niagara County, New York, at Mount St. Mary's Hospital. The following appeared in The Niagara Falls Gazette: Charles Rushton, 89, formerly of Hennepin Avenue, a retired colonel of the New York National Guard, died Saturday (May 17, 1986, in Mount St. Mary's Hospital, Lewiston. The Niagara Falls native worked for Niagara Mohawk Power Corp. from 1924 until his retirement in 1965. As a member of the New York Infantry, he went to the Mexican border with Company E, third regiment, in 1916. The next year, he enlisted in the U.S. Marine Corps. During World War I, Rushton was a sergeant with the Sixth Marines and saw action in France and Germany. He received the Silver Star, the Croix de Guerre of France, the Purple Heart and several citations. He was commissioned in the New York National Guard in 1920 and was in command of Company A, 174th Infantry. That unit was inducted into federal service in September 1940. During World War II, he was in the U.S. Air Force ferrying command in Washington, D.C., Hawaii and Taiwan. He was past president of the Sanborn Lions Club, a member of the LaSalle Post of the American Legion and the Retired Mens Club of Niagara Mohawk. He is survived by a son, Keith R. Rushton of Niagara Falls, two grandchildren and several nieces and nephews. He was the father of the late Kenneth R. Rushton. Services will be held at a time to be announced at the Lane Funeral Home, 8622 Buffalo Ave. Burial will be in Riverdale Cemetery. Contributions to the First United Methodist Church are acceptable as tribute.